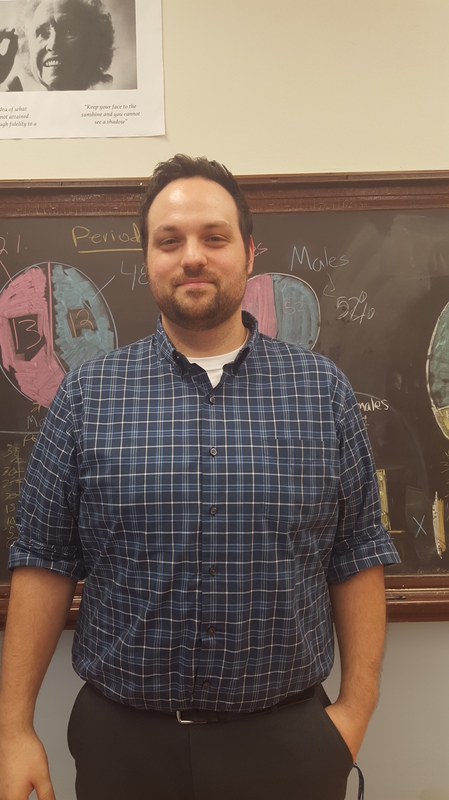 Dan Fisher (30), a former data strategist for Chicago Public Schools kicked off his first year of teaching math here at Senn. He decided to change direction in life and help high school students learn more about the real world. Fisher always knew deep down he wanted to be a teacher, he even taught Social Studies before working as a Data Strategist. Because of his prior experience as a Strategist, he became interested in probability and statistics. “I wanted to get back in a classroom. I was sick of doing data strategy and so this was an opportunity where I can teach math,” Fishers says.